At Wirral Music Factory, we are aware that everybody learns differently and people all want to learn different things in their drum lessons. For every lesson there for it is vital that whenever possible the student has a big input into what it is that they want to be learning. It might be that you want to learn a specific song, drum fill or groove in the Wirral drum lessons or the student might want to look at learning to read music or a technique. However the student wants to spend their time in the Wirral Drum lessons is up to them. If the student does not know what they want to do in the drum lesson that is also no problem, the teacher will give ideas on areas which could be good to look at and a lesson will be based around that. Why get Wirral Drum Lessons? Learning to play the drums is a very rewarding and enjoyable experience for anybody who decides to take it up. Whether it is just as a hobby or something more serious, playing and learning the drums is something that can be enjoyed by people of all ages and abilities. Apart from the obvious enjoyment people get from just hitting stuff there are also many other benefits for people studying drumming such as stress reduction, exercise, confidence building, self-expression and not forgetting learning to play drums and be part of a band. If you live in the Wirral area and are looking for Wirral drum lessons for either yourself or for a friend or family member then you can try out a 30 minute drum lesson for just £7.50. This is a great way to see if the Wirral drum lessons we offer are for you. To claim, enter the word TASTER in the coupon/code area to get £7 off your FIRST LESSON 30 minute lesson. Where are the drum lessons? Wirral Drum lessons take place at Wirral Music Factory with all drum lessons delivered on top quality, professional drum kits. The studio is situated close to Hamilton Square in Birkenhead. Free parking is available, and it is well served via local public transport, so is easily accessible and easy to find. For any drummer being able to adapt and play to suit the style or song they need is something that takes time. Having a good understanding of different styles of music really helps with this. 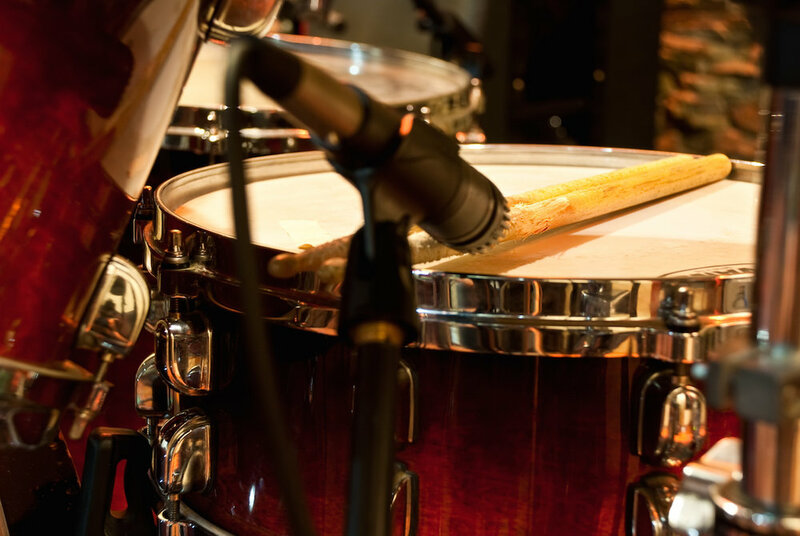 In Wirral drum lessons at Wirral Music Factory students are given all the help they need to develop their understanding of new music and the patterns and feels that make up the overall sound as well as exercises. Drum lessons will help to sound great whatever the music is. As a drummer it is important to be able to play your drums in any situation and be able to adapt your playing to fit as needed. Having a good understanding of different styles of music is vital. It will equip you with the tools you need to be in any situation and make your drumming sound good. It will also enhance the styles of music you already play, giving you new ideas and new sounds. Can I learn drumming Grades? Yes you can. Grades in music are something many people find to be useful. They give a structured rout for learners to follow in their Wirral Drum lessons and learning it gives them many fundamental and fun tasks to achieve in order to pass the assessment. Rock school grades have emerged as something many people really enjoy. The grades progress to grade 8 and start on the debut grade with different levels of difficulty in-between. There are also add-on books (Hot-Rocks) that offer the chance to play popular songs as part of your grade exam. We also offer other tuition in other musical syllabus. During drum lessons at Wirral Music Factory we like to keep lessons as fun and relaxed as possible whilst still keeping them focused and beneficial. There is no pressure on how fast or slow people learn as everybody learns in their own time and at their own pace. We will always do our best to adapt our teaching and lesson methods to suit whoever is learning in a way they feel relaxed and encouraging. Drummers love playing drum fills! Thinking of, and playing great sounding drum fills takes work, and an understanding of the music you are playing to. You will learn how to create your own stickings, adapt drum rudiments and other techniques to create your own great sounding drum fills and also give you the tools you need to do it all yourself. You will also learn when to and when not to use these drum fills and play tastefully to the music. Written music for drums is very similar to that of any other instrument and equally important. Learning to read (Sight Reading)music for drums is an extremely useful skill to have for all drummers. It helps with learning new patterns and fills as you can write them down and learn at your own pace. Students can learn from drumming books and websites, write drum charts plus much more. For many people learning the drums, their long-term aim is to play in a band. This may be to either perform in front of an audience or just as a bit of fun. It is therefore important to know our role within a band and what our job is. Are we playing to loud or to quietly? Is the song the right speed? Should I play a drum fill? Should I count the song in? Having an understanding of your roles will help you become the best drummer you can be.